Does your child wear glasses to see the board in class and need stronger glasses every year? If so, they may be a victim of Myopia Progression but we are here to help. • Treatment that can be done to slow the progression of myopia. • These treatments reduce stress and fatigue associated with the development and progression of nearsightedness. How can we treat Myopia Control? 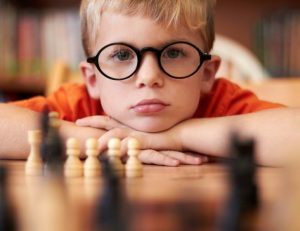 What if Myopia goes untreated? • Risk of Cataracts are twice as high among subjects with high myopia. • Increased prevalence of Glaucoma. • 55% of Retinal Detachment are attributable to myopia. • Our team is here to help with a customized treatment plan that will be the most effective course of action for your child. Please contact The Eye Center at Jackson for more information on setting up your free Myopia Control Consultation. Dr.Raghu is waiting to help eliminate your child’s Myopia.